The Musicarta Keyboard Chord Generator groups the 24 major and minor triads according to how they look, in terms of the black and white keys used. for reference as you read the following introduction. 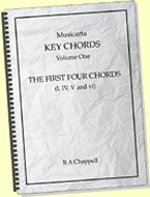 Good popular-music keyboard players ‘see’ the chords they need in the keyboard, without even having to think about it. The chords are literally ‘at their fingertips’. 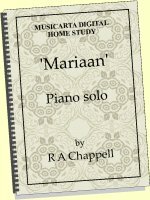 You can fast-track this ability by studying this visual glossary and the other Musicarta chords and inversions material. This visual approach indicates five main groups of chords, with sub-groups (‘types’) making up 12 groups in all. Normally in discussions of chords and inversions, the root position chord ‘flips’ upwards into the first inversion (the bottom note jumps up an octave), then the first inversion chord flips up again into second inversion. If we then flip the second inversion chord up, we get back to root position. To save space, the Chord Finder uses a different arrangement: the second inversion chord is indicated below the root position chord. The root position chord flips upwards into first inversion, but downwards into second inversion. 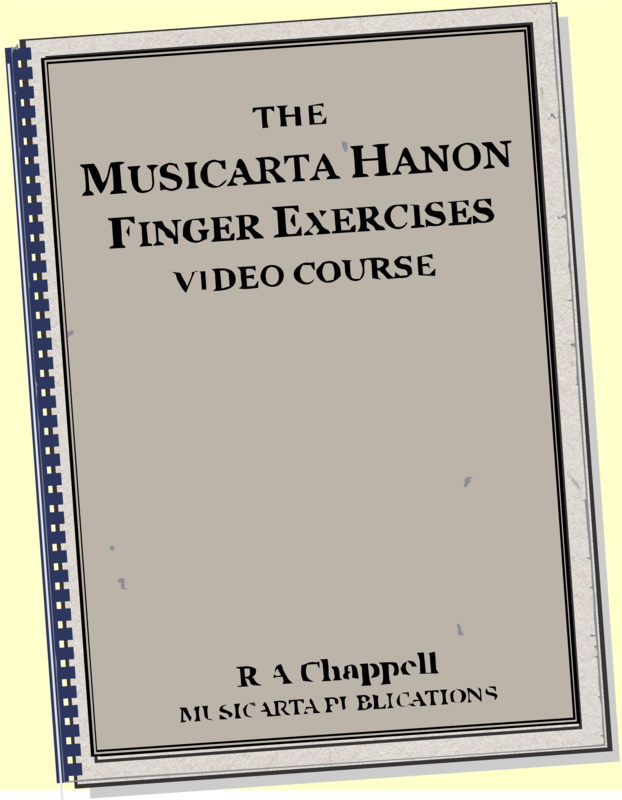 You will practise your inversions via the Musicarta Patreon Inversions series of pages. Note that the convention of starting from the root position isn’t based on musical values. Because our ear is naturally drawn to the top note of a chord, the first and second inversion chords are musically more pleasing. Secondly, ‘flipping’ the chords downwards should be just as easy as flipping them upwards. In the end, flipping either way from any inversion should be equally easy. Just go ahead and do it! 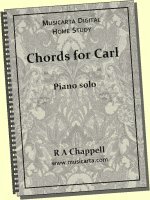 Explore the chords, and use the Keyboard Chord Generator to find the chords you need for your sheet music or tab-based playing. Get creative! Play right hand inversions, with a single bass note in the left hand (the root, or name-note, usually). Imitate the rhythm of your favourite songs and see what comes out. The black-key-in-the-middle major chords in Group Two (D, A, E) change to white-key-in-the-middle to become minor. Simple one-black-key major triads D, A and E (root position) have the black key in the middle (the third). 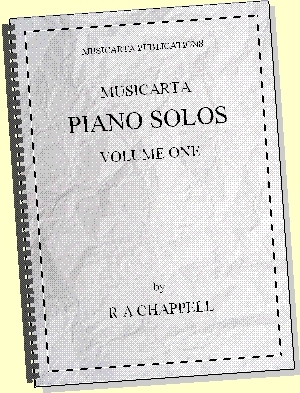 When they fall a semitone to D flat E flat and A flat, they reverse and become two-black-key, one-white-key triads, and the white key is in the middle. Knowledge like this is tedious to write down and explain, but this is what the musician ‘with the chords at his fingertips’ instinctively draws upon. 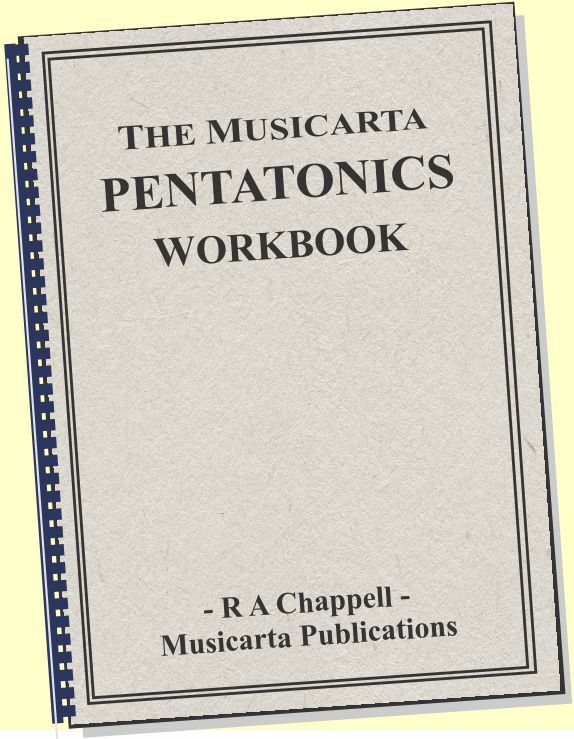 It is usually acquired indirectly over many years, but the visual Musicarta Chord Generator and similar material across this website will help you speed up the process. You should aim to be able to sit down with the printed bulleted text list and visualise all the chords described, group by group,in root position, flipping upwards into first inversion and downwards into second inversion. This ability is only acquired by degrees. Take it by stages and tick off your progress on the list – the ability to self-motivate is key. Access more visual chord recognition material via the Chord Finder home page. 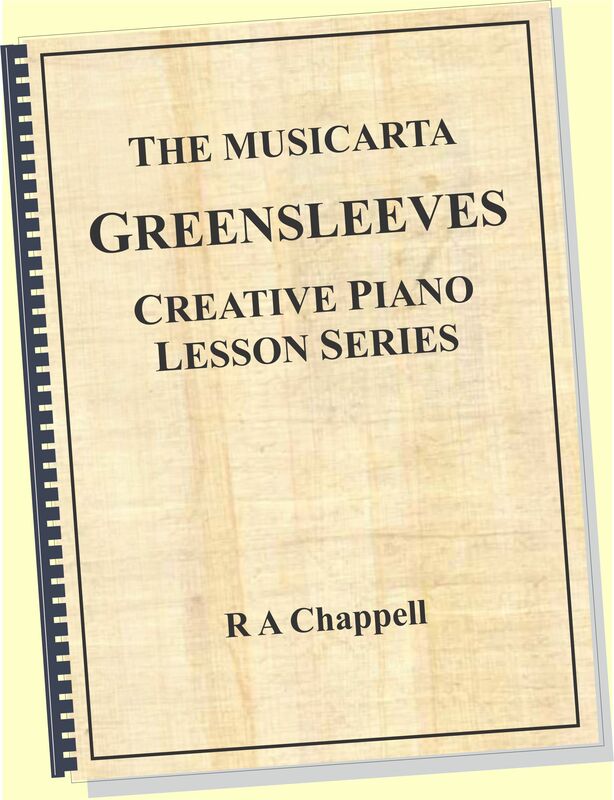 You will find Musicarta broken chord patterns (which cycle through the inversions and are essential practise) via the Musicarta Patreon Broken Chords page. In most of these broken chord patterns and studies, the inversions are marked either according to the circle/triangle/square system or in words. This will prompt you to think about inversions all the time, but will also help you use the Chord Generator to play broken chord patterns even if your sight-reading isn’t very good. 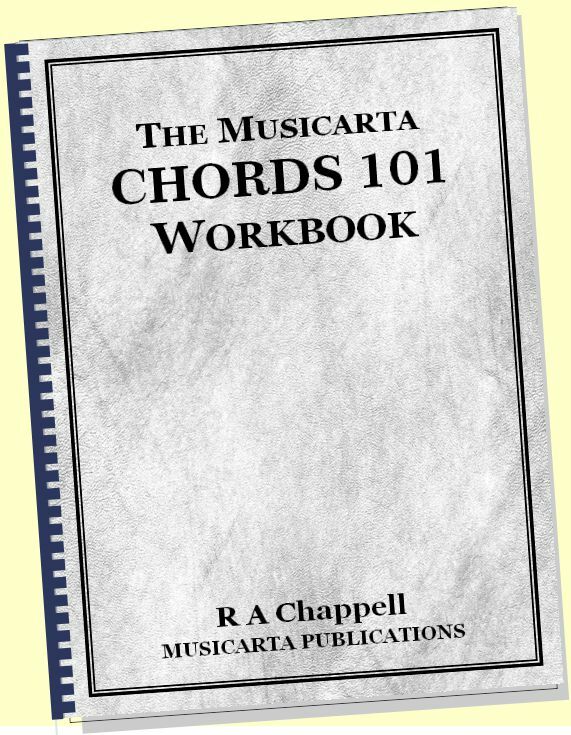 Keep a copy of the Musicarta Keyboard Chord Generator by your keyboard and refer to it often. Suggestion: Have it laminated, to give it more 'presence'!